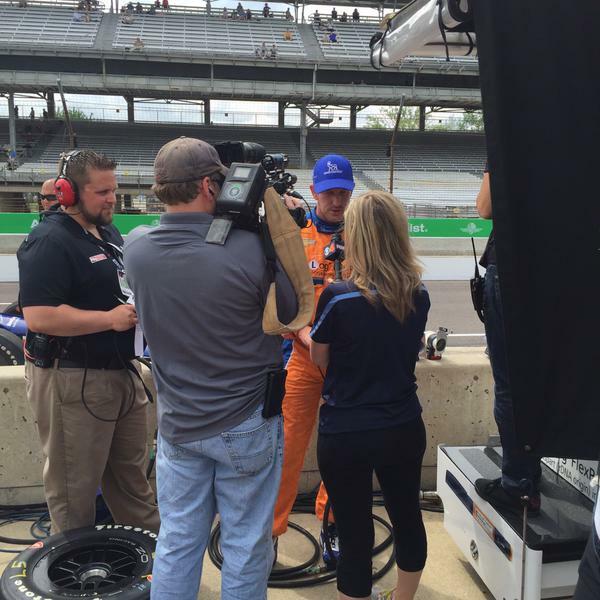 "Pushing, center-off in (turns) three and four," notes @DanicaPatrick after the team's second q-run of the session. 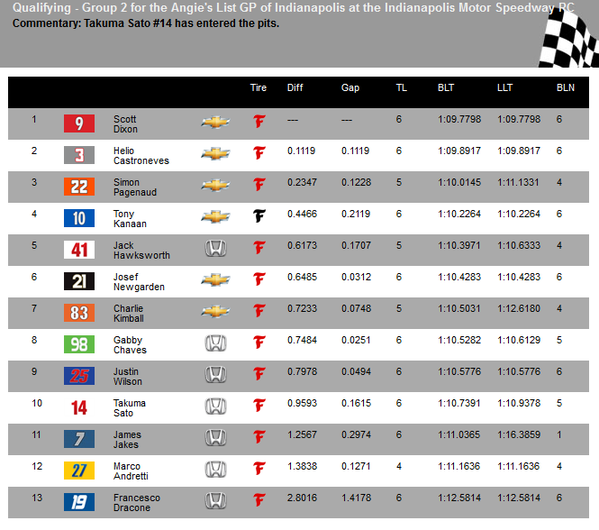 Checkered flag for #IndyCar #GPofIndy Round 1 Group 2. 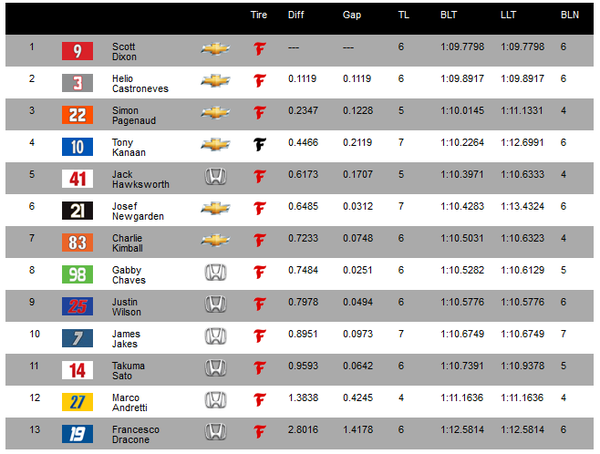 Moving on are Dixon, Helio, Pagenaud, TK, Hawksworth (only Honda! 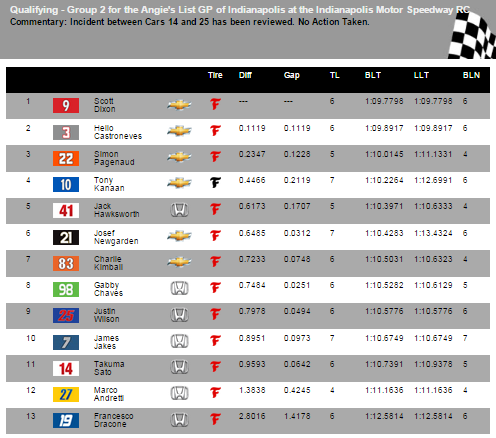 ), and Newgarden. Group 2, Fast Six: #Dixon , #Castroneves , #Pagenaud , #Kanaan , #Hawksworth e #Newgarden .
.@josefnewgarden advances the @CENTURY21 car to the Top 12 - finished Round 1, Group 2 in 6th.
.@h3lio P2 and @simonpagenaud P3 in round 2 group 1 in quals for #GPofIndy . All 4 cars move on to round 2.